Originally known as Hong Kah Town Council, Chua Chu Kang Town Council was renamed following the 2011 General Election. 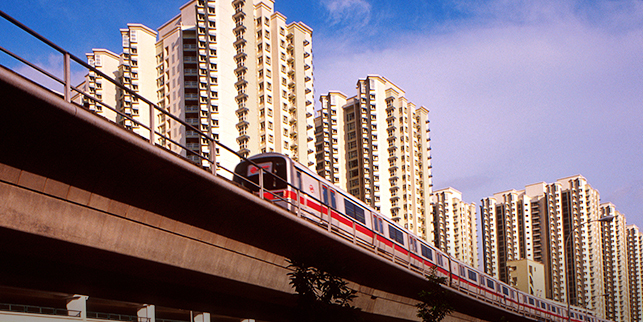 Today, we manage over 58,000 HDB residential and commercial units in Chua Chu Kang GRC and Hong Kah North SMC. Chua Chu Kang GRC comprises four constituencies, namely Bukit Gombak, Chua Chu Kang, Keat Hong, and Nanyang. Collectively, the five constituencies (Chua Chu Kang GRC and Hong Kah North SMC) under our management are known as Chua Chu Kang Town. 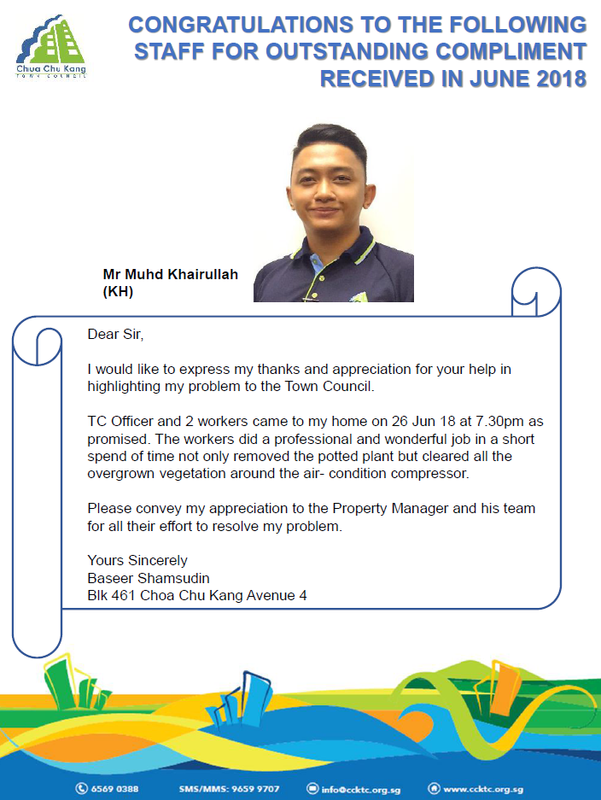 Our Town Council’s role is to manage and maintain the HDB common property in Chua Chu Kang Town. You can find out more about our roles and responsibilities here. Our aim is to create an identity for Chua Chu Kang Town, promoting community awareness and pride in our Town. The end objective is to improve the living environment and hence the lifestyle for you, our residents. The green portion is in the shape of a tree and depicts Chua Chu Kang Town as a place characterised by lovely trees and greenery that beautify the living environment. The inset of the trees symbolises windows and the flats. The end result is a refreshing balance between the urban residential areas and the natural environment. The blue portion depicts the blue skyline. It signifies the unity of the community under one roof – Chua Chu Kang Town Council.